HARD HITTING DETROIT LIONS FORUM - View topic - JBC should stsy or should he go? Re: JBC should stsy or should he go? I feel lied to by Patrica and Quinn at this point. We were sold a bill of goods that Patrica could make this work on the fly. That he was keeping the offense in place and could adapt to the defensive personal. Instead this has turned into a complete overhaul on both sides of the ball. 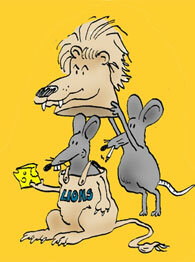 Right now the Lions have a handful of nice pieces it's not a team yet. On offense: Stafford, Johnson, Jones, Golladay, Decker, Ragnow, Wagner, Glasgow. With 3 glaring holes at guard, tight end, slot receiver and zero depth anywhere. On defense: Slay, Hand, Robinson, Harrison, Davis, Kennard, Diggs. With holes at LB, DE, CB and depending on if Walker can replace Quinn next year. Again with zero depth anywhere. At least Prater and Martin are both two of the best at their positions. Yes he should go and the guy I've wanted forever is now available in Adam Gase. No-one said the offensive scheme would not be altered by keeping JBC on the team. No doubt there was a lack of time to get another OC in place Patricia liked, but there was also the feeling that the comfort level on offense would remain cushioning a transition to a more run oriented offense. Nor should we forget that JBC was suppose to be more run oriented the year before under Caldwell. I can go along with the idea of confusion due to a blending of plays and styles via the run pass options. None of the quarterbacks looked very good this year and it could have been a result of everyone not being quite on the same page, but only so far. These are professionals and veterans. Any confusion should have been gone by the end of training camp. I don't believe we were sold a bill of goods. No-one expected the offense to struggle so much. I think the problem we are seeing is because the former head coaches, Schwartz and Caldwell were match up oriented. They worked to get their top talented players in mis-matches in order to have success. Listen to Patricia and you can almost hear Marinelli. It is about technique, about fundamentals, about doing your job, not doing more than your job and trusting your teammates will do all of this too. In other words, talent isn't suppose to make a play happen, it is suppose to make a play better. This seemed to be primarily a defensive issue, but there were problems on the offense as well with technique, passing blocks off and so on and I think it hurt the passing game. Certainly the short yardage running game suffered. Caldwell had back to back 9-7 teams and the members of the media love to point out that Caldwell had a winning record and had been 9-7 when let go. yet, the team had not improved. He went 11-5 his first year and then 9-7, backing into the playoffs. He then followed that up with another 9-7 campaign in which there was no improvement in the team. How many name players are there on our defense? Yet, the defense improved over the course of the season. The offense sucked, but injuries hurt. Personally, I think it was play calling more than anything. It was too predictable at times. One more reason I think JBC will be employed elsewhere. As much as I would like to see Gase here, I believe he could be mentioned as a possible HC elsewhere. Guess we'll have to wait and see. I wonder if Charlie Wiese would be considered/interested in the job. Lots of interesting stuff in here. The NFL is a matchup league, if our new coach doesn't think so I think that is a problem. Hopefully it isn't so simple as that. I also hear a lot of Marinelli. That is not good at all. I also hear Morningwheg from time to time. I believe that in all honesty MP was not ready to do the top job, and run the whole team. A disorganized coach will have problems with the team not being able to execute on the field. I hope that sorts itself out soon, for the team's sake. Caldwell had faults, but he had the team ready and able to win the game at the end every week. I think that comes not just from the QB having the guts to go do it, but from being prepared and calm in those moments. The whole team was drilled on that stuff and could do the work when it was needed. Example being that one drive vs Vikes when there were 30 some seconds left. This year, we don't see that all. I suspect (but don't know) that Patricia doesn't coach this the same way or emphasize it the way that JC did. Caldwell had a method for teaching that part of the game that worked. I don't know if MP has that now. The new boss changed the operational plan for the whole team. It is not really surprising that things are not the same on offense as they were in years past. If he doesn't get a lot better fast, this team is in trouble. I sure hope they dont consider him. Why, he is a very good OC, And he knows exactly how Patricia wants the offense to run. Patricia hasn't worked with Weis in like 12-13 years and it was just Patrica's first year with the Pats as an offensive assistant. Not sure why you think Weis would have any kind of knowledge of what Patricia would want to do. There is hardly any connection between the two men and Weis has been out of football for a few years now. All's quiet in the coaching search. Makes me think they already have their sights set on a position coach from Patriots. Chad O'Shea? All the talk is directed at him or Waldron from the Rams since they both have Pats ties and are thought to be ready to make the jump to OC. They both also come from a passing game background, so maybe the plan is to pair one of those guys with Davidson working a little bit like a run game coordinator. I'd like to see O'Shea because I think he will be a more vertical offense that would play to the strengths of Jones and Golladay where they both do very well getting up for 50/50 balls. Tate was really the only Lions WR that was great at the short horizontal routes. If Waldron is like McVay maybe it wont matter much, but I would like to see them just move away from the West Coast offense now that they have a legit RB to work with.